Operating under the authority of the Drug Enforcement Administration (DEA), the Organized Crime and Drug Enforcement Task Force (OCDETF) was formed in 1982 to fight major drug trafficking and money laundering organizations. OCDETF works with the DEA, Federal Bureau of Investigation (FBI), Bureau of Immigration and Customs Enforcement, Bureau of Alcohol, Tobacco, Firearms and Explosives, US Marshals Service, Internal Revenue Service, US Coast Guard, Department of Justice’s Criminal Division and Tax Division and the 93 US Attorney’s offices to identify, disrupt and dismantle the most serious drug trafficking organizations. These efforts are targeted at decreasing the nation’s drug supply and cutting off financial resources potentially directed to terrorist groups around the world. The Drug Enforcement Administration (DEA) was created by President Richard Nixon in July 1973 to combat a growing national drug problem. The agency began with 1,470 special agents and a budget of less than $5 million to address an expanding use of narcotics that by 1979 involved more than 26 million Americans. Throughout the 1980s, the drug problem continued to grow, with heroin being trafficked from Mexico and marijuana and cocaine brought in from South and Central American countries. As the Medellin Cartel, based in Colombia, continued to grow in strength, Attorney General William French Smith sought ways to keep the nation drug-free. On October 14, 1982, he announced an eight-point program to crack down on organized crime, and in particular syndicates involved in the illegal drug trade. , modeled after the successful South Florida Task Force. Each task force had the full resources of the federal government, including access to other agencies sharing similar jurisdictions. The Attorney General and Department of Justice were placed in charge of the program that has grown into a force that employs more than 10,000 special agents and has a budget greater than $2 billion. 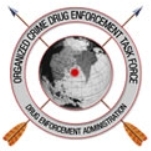 The Organized Crime and Drug Enforcement Task Force (OCDETF) supports the DEA in enforcing laws controlling the distribution of drugs and controlled substances. OCDETF is responsible for pursuing drug offenders, especially principal members of organizations involved in growing, manufacturing and distributing illegal drugs. The task force also recommends and supports non-enforcement programs to reduce the availability of illegal drugs in domestic and international markets. OCDETF supports DEA efforts to manage national drug intelligence gathered from federal, state, local and foreign officials; seize assets gained through the drug trade or intended to be used in the trafficking of drugs; enforce the Controlled Substances Act to mitigate the manufacture, distribution and sale of illegal drugs; cooperate with federal, state and local agencies, as well as foreign governments, to reduce the availability of controlled substances through non-enforcement methods such as crop eradication, crop substitution and training of foreign officials; help foreign governments carry out anti-drug initiatives; coordinate with the United Nations, Interpol and other organizations to stem the trafficking of illegal drugs. · Creation of a 15-member panel to monitor organized crime’s influence around the country. Information is shared through public hearings on their research and legislative recommendations are made based on these findings. · Enlistment of the nation’s governors to strengthen criminal justice reforms against organized crime in their area. · Creation of a cabinet-level committee, chaired by the Attorney General, to coordinate attacks on organized crime. Findings are reported directly to the President. · Foundation of a national center for state and local law enforcement drug enforcement training located in Glynco, Georgia. · Establishment of a new legislative offensive to reform criminal statutes on bail, sentencing, criminal forfeiture, exclusionary rule and racketeering, especially as they relate to the illegal drug trade. · Requests for the Attorney General to submit an annual report on the ongoing fight against organized crime and drug trafficking groups. Allocation of millions of dollars for prison and jail facilities. Some of OCDETF’s funding goes to those federal agencies that operate anti-drug operations. These agencies include the FBI, Bureau of Immigration and Customs Enforcement, Bureau of Alcohol, Tobacco, Firearms and Explosives, US Marshals Service, Internal Revenue Service, US Coast Guard, the Department of Justice’s Criminal Division and Tax Division and the 93 US Attorney’s Offices. For instance, from 1997 to 2002, INS billed the task force for $74 million in costs related to salaries and other expenses—some of which had nothing to do with drug eradication (see Controversies). Other portions of OCDETF’s funding supports programs and operations run by the task force. For instance, $500,000 was appropriated to bulk up the IT infrastructure of OCDETF’s Fusion Center to process and develop collected data. This is in addition to the $8.6 million requested for the Fusion Center in OCDETF’s FY 2008 budget request (for operation and maintenance). In February 2000, the Los Angeles Times reported that Immigration and Naturalization (INS) officers ordered LAPD’s Rampart Division officers to deport immigrants detained by anti-gang officers. The 27 INS agents, interviewed for an internal service report, cited an unpopular program launched by overzealous INS managers over the objections of the Organized Crime and Drug Enforcement Task Force. 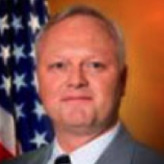 Although the INS agents told John McAllister, the INS assistant district director for investigations, that their involvement did not conform to their mission of eradicating drug trafficking, they were told to continue their efforts. Their task force was responsible for deporting more than 160 illegal immigrants in 1997 and 1998 and for prosecuting about 40 more for illegal reentry after deportation, a felony offense. Around the same time as the media story, the Government Accountability Office (GAO) examined INS expenditures of OCDETF funds. The investigation found that seven Los Angeles OCDETF agents had been reassigned to non-task force cases—but that OCDETF wound up paying for their expenses. What are you going to do about the massive meth drug syndicate still in operation that was reported to your dept.,at least 12 times. in which it was noted that police officers were blocking the conplaints of?.Since one of them was spotted making visitations at the address 14617 W FM 639, Barry, 75102, where the meth mabufacturing has been going on for over 10 years, by the Schlessman couple.? Seems like I have the right to let the people know about this, in effect you are promoting this activity, by your ignorance. This investigation and the conclusions parroted above where a sample of the staggering incomptence of the IG investigators. They stated that there was a failure to place a certain form in files as if that was some great conspiracy, the form was not a genuine, approved U.S. Government form, It was a note xeroxed over and over again that was the size of a card where the name of the subject and who arrested him where written for use only by bus drivers and guards in the first custody area the arrests came in contact with.Yet its cited as a major failure. The Agents assigned where assigned because they were lazy and engaged basicly theft of services as they did little or no work at there assigned jobs. OCDETF HQ never ever told John McAllister that they couldn't be assigned there. Information about a nation wide problem that started with my bloody cold case and the fed's in the New England area know all about it because I write them all the time and even the local police know,because it is a cold case from 2008 and 2009. Thanks and try to have a good one and try to stay safe and keep your children and women safe. Thomas W. Padden, acting director of the Organized Crime Drug Enforcement Task Forces (OCDETF), is a veteran prosecutor with experience handling drug cases for the U.S. Department of Justice. Padden received his Bachelor of Science from the U.S. Naval Academy in 1982, before serving in the U.S. Marine Corps for 12 years as a commissioned officer. During his time in the service, he earned a JD from the University of Notre Dame Law School in 1991. Padden served as an assistant general counsel in the Office of the Secretary of Defense where he was assigned as a Special Assistant U.S. Attorney for five years in the eastern district of Virginia. In 1997, he joined the Justice Department. As a trial attorney for the Narcotic and Dangerous Drug Section (NDDS), he conducted OCDETF investigations targeting Mexican drug trafficking organizations and successfully prosecuted the resulting multi-defendant cases. Padden then was assigned as an attorney-coordinator and deputy chief at the multi-agency Special Operations Division (SOD). At SOD, he handled intelligence-based targeting of narcotics trafficking and narco-terrorist organizations and coordinated the resulting multi-jurisdiction, multi-national wiretap investigations. He also served as the acting chief and as the principal deputy chief for NDDS. 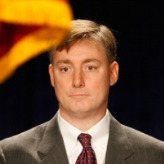 Prior to joining the OCDETF, he served as the acting deputy director, the acting assistant director for intelligence, and the acting general counsel at the National Drug Intelligence Center. In June 2008, Padden was made deputy director of OCDETF. Stuart G. Nash worked as a prosecutor in the U.S. Attorney’s Office in Washington, DC. By late 2006, Nash had attained the positions of Associate Deputy Attorney General and director of the Organized Crime Drug Enforcement Task Force.